Normally, I don't like to post anything related to Fox News on my website. I just can't do it. The whole channel makes my head hurt so I try to avoid it as much as possible. But, because I promise to share news as it relates to the Black Diaspora I decided to share this interesting townhall that was conducted by Fox News very own Sean Hannity in conjunction with Dr. Ben Carson. The townhall consisted of some of the who's who of Black Conservatism such as Ron Christie, Star Parker, Crystal Wright, Jesse Wright and a host of others. Let's just say it was an interesting conversation to say the least. Hannity has a lot of pet negroes. All I want is to get a sense that people are thinking for themselves and not falling in line with a particular narrative. I operate from the middle. Neither liberal nor conservative. I am more inclined to watch a COUPLE of shows on MSNBC because they tend to provide more intellectual discussion instead of reciting the rhetoric of the day. I'd like to hear black conservatives state their views plainly without being led into the more empty and emotionally charged discussions. And Sean Hannity is not the one to lead that type of discussion. Perhaps someone said something insightful in this town hall. I didn't watch it in its entirety. The little that I saw leaves me uninterested. 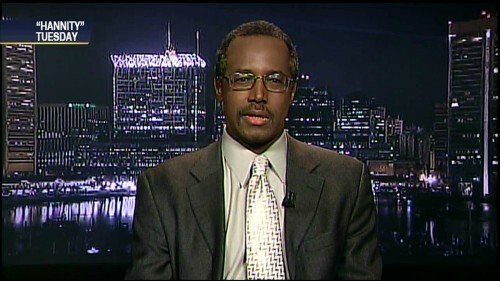 I admire Dr. Ben Carson and he is entitled to his opinions. He is a gifted brain surgeon. I read his autobiography in high school and was left quite impressed. But his medical prowess doesn't necessarily enhance his political credibility.